Make A Donation & Save Lives Today. Add 25% more to your donation at no cost to you. 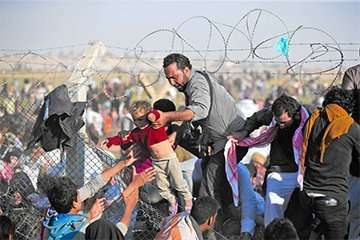 A Gift Aid declaration allows Muslim Global Relief to claim tax back on eligible donations. It means that for every £1 you donate to Muslim Global Relief we can claim back 25p, at no extra cost to you. By ticking the "Yes" box, I agree I would like Muslim Global Relief to reclaim the tax on all qualifying donations I have made, as well as any future donations, until I notify them otherwise. I understand that if I pay less Income Tax and/or Capital Gains Tax than the amount of Gift Aid claimed on all my donations in that tax year I may be asked to pay any difference. I understand that Muslim Global Relief will reclaim 25p of tax on every £1 that I give. Gift Aid does not cost you a penny more, but can add an additional 25p to every £1 you donate. When Muslim Global Relief receives a donation from a UK taxpayer, we're entitled to claim an amount of tax (calculated at the basic rate of income tax in that year) paid on that donation. Once you have given your permission for us to do this on your behalf, there is no need for you to do anything else. Conflicts, war and natural disasters leave countless children, their families and communities facing hunger, insecurity and violence. 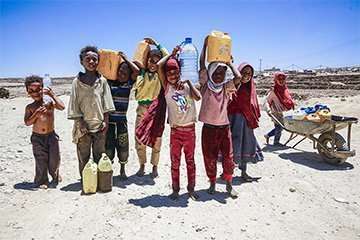 Whether an emergency is caused by natural or man-made disasters, climate change, drought, famine or war, our dedicated on-the-ground teams work to prevent loss of life and reduce suffering as much as possible for affected children, as well as their families and communities. People living in fear of violence or persecution uproots entire communities and, for those who stay are often left without access to medical care, face psychological distress & sexual violence. 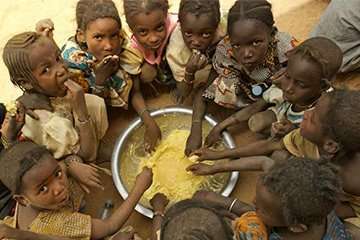 800 million people in the world do not have enough food to live, that’s about one in nine people on earth. The vast majority of the world’s hungry people live in developing countries, and are undernourished. Within minutes natural disasters such as earthquakes, tsunamis and hurricanes can overwhelm an entire population. Thousands of people can be injured or traumatised by the loss of family and homes. 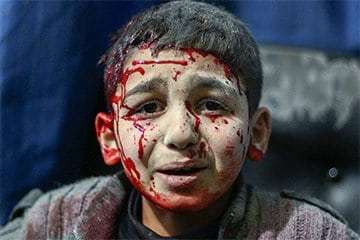 Help the millions of Syrians who are fighting for survival each day. 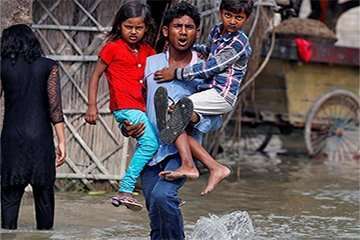 Deadly Seasonal Flooding In South Asia Has Affected Over 16 Million People And Has Already Killed At Least 500 People. 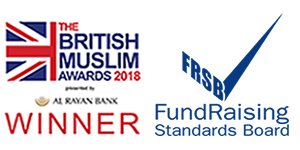 We were awarded the UK's Best Charity of 2018 at the National British Muslim Awards. Recognised for our outstanding work in villages across Africa, Asia & the Middle East. Working over 20 years to alleviate the impacts of poverty & sickness. Providing humanitarian relief to those affected by natural disasters, war, and conflict. Winning the Charity of the Year Award is evidence of Muslim Global Relief's excellence, dedication, and inclusivity, and it will give us strength to keep working hard and for us to have an even greater positive impact on the communities we serve. At MGR, we kick-start development in remote villages around the world. We bring simple solutions to improve rural communities. These make a lasting impact on the lives of village people tackling poverty.